Doing the books takes you away from working on the more important tasks in your small business. In fact, your business transactions have most probably increased since you first started out. Hence, you have no time to focus on bookkeeping and other important accounting functions. On the other hand, you might not really be sure whether or not these functions are being taken care of properly. That is where you need to select a qualified bookkeeping service. Maintaining your own in-house team isn’t the best choice when you are just starting out in business. You will have more important functions to take care of under such circumstances. Not taking care of these core functions can adversely affect the future growth of your small business. For example, functions such as marketing and customer services are very important for the future success of your company. With all this work, you won’t have enough time to focus on the accounting and bookkeeping functions. That is why you need to hire a reliable bookkeeping company. Here are some tips to look for when choosing the best accounts and bookkeeping company in. Using a third-party bookkeeping service is an investment in the future of your business. Although a small business may think that hiring a reliable bookkeeping service is an unnecessary expense, most small business owners are not capable of understanding the complex nature of accounts and bookkeeping. That is where a professional bookkeeping company is important. Just imagine how much money you can save in the long run when you decide to work with a reliable bookkeeping service. You don’t have to hire qualified staff and pay them overtime, insurance, medical benefits, and other perks. On the other hand, time is one of the most precious components for a small business. It is one of the things that small business owners worry about. Engaging a professional bookkeeping service will free up most of your time. This means you can then concentrate on the core functions of your business. This is very important when it comes to taking your small business to the next level. A bookkeeper’s job is to keep accurate records of all the financial transactions of your company. The right professional should be a registered BAS agent or tax agent since he or she has to prepare your Business Activity Statement. On the other hand, they should be a member of a professional accounting body in Melbourne or Australia. Find out for how long they have been operating for. Is their practice mature enough to manage your needs? Check if they have worked with clients like you in the past. Ask the contact details of a current client so that you can see if the client is happy with the service provided by the bookkeeping company. How will your practice help me to grow my business? the overall performance of your business. 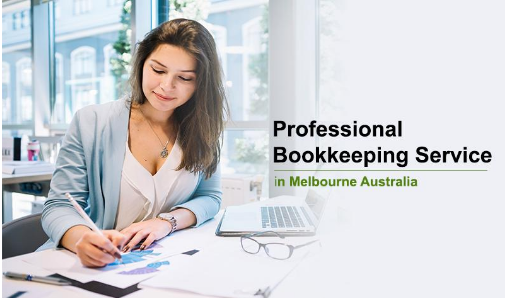 Make sure that you check out – https://numberspro.com.au in Melbourne for all your bookkeeping requirements.